Ratatouille’s Ratatouille is by far my most elaborate and crazy cooking attempt. It took me 4 hours. Phew. My Wild Mushroom Quiche for Nutriplus baking competition looked easy compared to this dish. The 4 hours of hard work was worth it after the photo received lots of “wow” when I posted on my social media accounts and it was featured on Sorted Food’s Eye Candy Video. 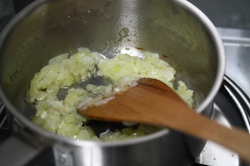 Normally I would not even finish reading complicated recipes or try to simplify them but this time I decided to challenge myself in cooking with French techniques. Sometimes we just had to try new things and constantly challenge ourselves. Learning, living, making mistakes, pushing yourself, stretching, growing much more than we ever thought possible. Don’t worry if you make mistakes. Try and try again, just like Remy – the rat with a whisk and a dream. 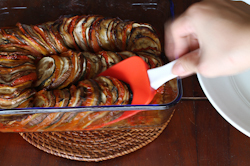 This recipe is not the usual ratatouille recipe where the vegetables are fried before baking. 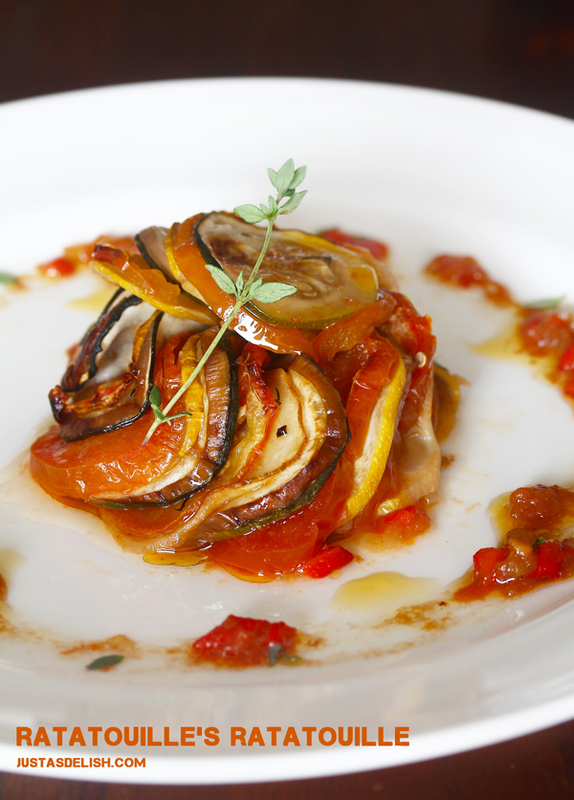 Top French chefs had been preparing the ratatouille vegetables in thin slices (known as confit byaldi) instead of the traditional rough-cut ratatouille. American celebrity chef Thomas Keller of the acclaimed French Laundry restaurant did a variation to the “byaldi” dish in his cookbook, The French Laundry Cookbook, which was later used in the movie Ratatouille. 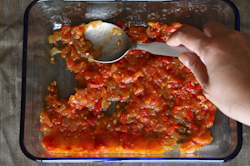 His variation added two sauces, a tomato and bellpepper sauce at the bottom (pipérade), and a vinaigrette at the top, and serving the dish by fanning the vegetables out accordion-style. According to Thomas Keller’s recipe, a pipérade is made of peeled, finely chopped and reduced peppers, yellow onions, tomatoes, garlic, and herbs. 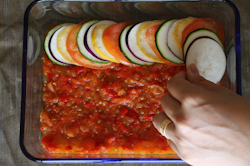 The pipérade is spread thinly in a baking tray or casserole dish, then layered on top with evenly sized, thinly sliced rounds of zucchini, yellow squash, Japanese eggplant, and roma tomatoes, covered in parchment paper, then baked slowly for several hours to steam the vegetables. The parchment is removed so that the vegetables may then roast, acquiring more flavor through caramelization. To serve, the pipérade is formed into a small mound, and the rounds arranged in a fanned-out pattern to cover the piperade base and drizzled with balsamic vinaigrette around the dish. Are you tired yet just reading the description? The total cooking time took me longer than it should have been, due to the high precision in the mise-en place which I’m not used to. The mise-en place could have been faster if a mandoline is used for slicing and if I can finely dice at a faster pace. I was struggling with manually slicing the vegetables into 1/16 inch (how can that be done without a mandoline is beyond me). You would have noticed these slices were definitely far from 1/16 inch. It reminded me of how Julia Child practice dicing onions for hours and days to get it perfected in the movie “Julie & Julia”. I too need to get into the long hours of practice sessions. Mastery is key. 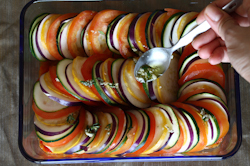 This confit byaldi recipe makes such a beautiful and elegant presentation, with lightly caramelized and savory flavors. Despite the delicate preparation and presentation, confit biyaldi, like most ratatouilles, improves with age overnight in the refrigerator. Even though I’ve not tasted ratatouille before, I felt the flavours are a tad bland. Adding a bit more vinaigrette greatly enhanced the overall taste. Having recovered from this attempt, now I’m off to find my next challenge. Hmm.. what’s next? What do you suggest? For piperade, heat oven to 232C or 450F. 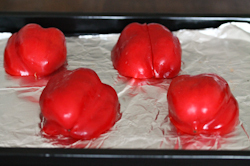 Place pepper halves (cut side down) on a foil-lined tray. Roast until skin loosens, about 15 minutes. Remove from heat and let rest until cool enough to handle. Peel and chop finely. Heat oven to 135C (275F). 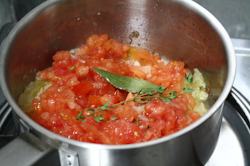 Spread piperade in bottom of an 20cm (8-inch) baking dish or casserole dish. 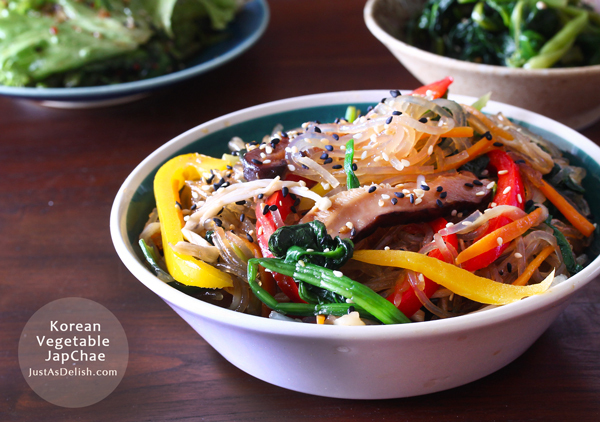 If there are leftover vegetables, stir fry them with the vinaigrette. Has anyone prepped this the day before and then stuck it in the fridge? Curious how long it took to cook the next day and it what temperature? TIA!!! 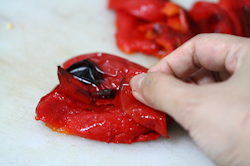 Hi Melissa, I dont advice to prep the eggplant a day before because it will turn brown/oxidised after slicing. You can prep the rest. The best is to cook the whole dish the day before. You can serve it cold or reheat in the oven at 350F until warm through. Absolutely delicious!! 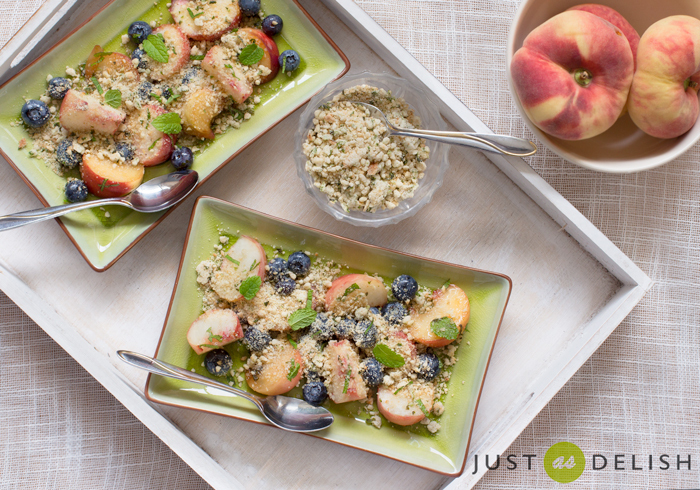 It’s fun to prepare, looks gorgeous, and tastes decadent. It’s my favorite side dish! I had a number of leftover slices of all the vegetables after testing fit into my baking dish, so I just diced them really small and added them to the piperade preparation and pulsed the piperade with the leftover veggies in a food processor till smooth, adding Spanish sweet paprika to get the color back to red. That’s a great idea 😀 I’m sure it turn out really delicious! I’ve made this multiple times, and have found that a pound or two of Italian sausage (sweet or hot) is a perrfect addition to the piperade sauce underneath the vegetables. Highly recommended! Thanks for your comments, Susan. To be honest, I’m not entirely sure if this dish could be frozen. I googled about it and found some people have frozen the dish after it’s completed cooked, with success. If you plan to try it, do update me know it that works..
Love this recipe, made this once before and it was *amazing*. Just a word of note to others (who probably already know this): *If* you do put it on the stove to reduce if you see too much liquid in the pan… DONT DO IT if it’s a glass pan. The second time I made it I did it in a pyrex. While reducing on the stove the entire pan shattered violently. Wasn’t thinking about the unsuitability of glass for that purpose! Wasted a few hours of effort and a beautiful dish. This is such a beautiful dish! Worked perfectly and tastes amazing. Thank you for sharing! That’s great, Enjoy the dish! 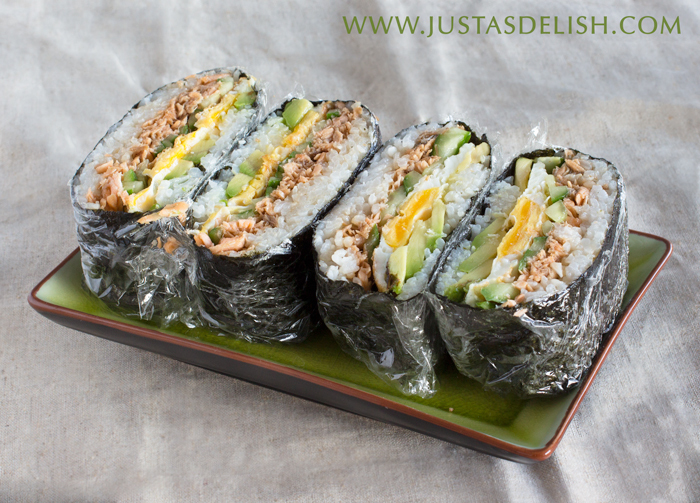 Finally decided to make this… So delicious!! I wanted protein so I made small turkey burgers with the remaining sauce, herbs and some Parmesan and topped it with the ratatouille! Great recipe! 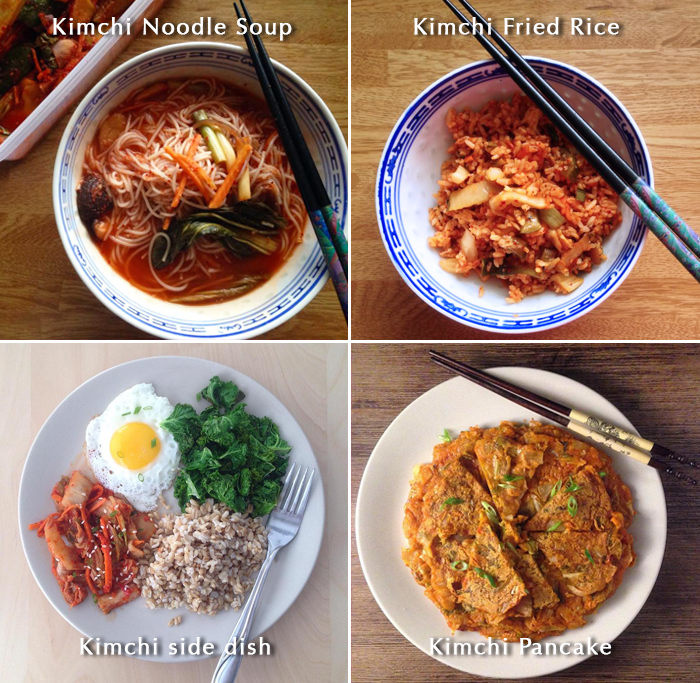 I’ve had this recipe bookmarked for ages and I finally got around to making it. It was fantastic! I didn’t find it tedious or time consuming- it was a fairly hands-off recipe. I had some home made tomato sauce left over from another meal and I used that along with the roasted red pepper. Added some rosemary on top of the veggies too! I served this with some lightly toasted baguette, the veggies made a great topping on the bread. Thanks for the tips, Maria. Using leftover tomato sauce and roasted red pepper definitely speed up the process. 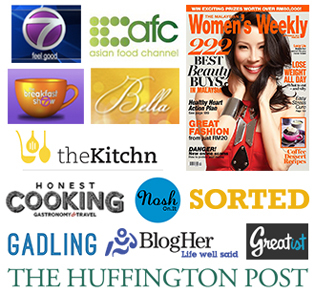 Thank you for linking back to my blog and glad you love the recipe. Off to see how you made yours. Mines in the oven now. It looked beautiful add I put it in. Don’t have Japanese eggplant around my neck of the woods, so just used “regular”. Smells delicious. Only change I made; I’m not a fan of chunky sauces, so I blended the piperade. It had such a beautiful orange /red color (tasted great, too! ). 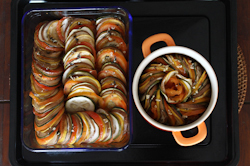 Never made a ratatouille before, followed these basic guidelines and it was delicious. I’m usually more of a meat eater but this was definitely the best vegitarian dish i’ve made at home. It really did help having a mandolin though, and i’d recommend if your tomatoes are really ripe to firm them up a bit in the freezer to slice them more evenly. Oh and I used Thai Globe eggplants, just love the way they cook up, you dont need to salt them they are even tender enough to julienne and eat raw in a salad. To keep from browning I just left them for last and cut them on the mandolin one at a time as needed when puttin it all together. Other substitutions (yea I know I hate people who change everything when following a recipe) I used canned tomatoes didnt have enough fresh ones for the sauce and the casserole, turned out great though did add some white wine to mellow it out and i sauteed them a bit longer. Also no thyme so I used fresh basil and a few red pepper flakes, gave it a bit more of an italian flavor. Go ahead and substitute, I’m someone who always substitute and encourage others to tweak recipes with whatever ingredients they have. That’s when people who are not used to cooking learn to create new stuff, and most importantly have fun with it. 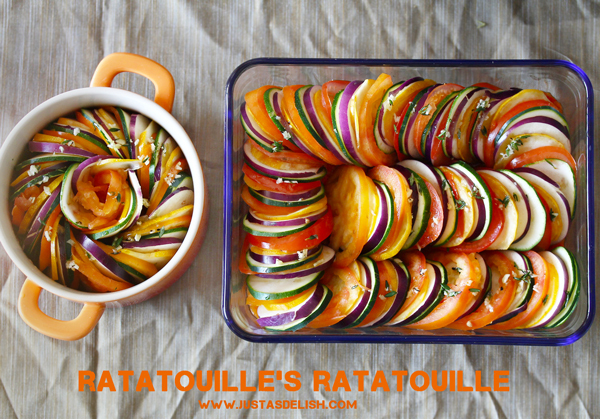 I saw your Ratatouille picture on Sorted and I just loved the way it looked! Just made some and it’s wonderful! Thank you Laura. 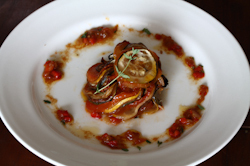 Kudos for taking the challenge, glad you love the Ratatouille! It does look tempting though. The images are so nice and colorfull! Thank you Julie, I love the movie too. 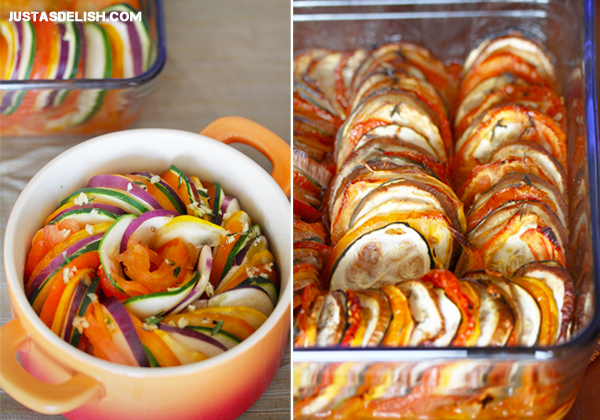 the usual Ratatouile (much simpler version) is different than the one in the movie though. I love this beautiful creation. Kudos to you! I really like Thomas Keller but I am a dessert and bread with a little savory thrown in there for good measure. ..lol… That looks so delicious! Shannon, what a beauty! I can’t imagine myself slaving for hours just to prepare veges and I salute you! Oh Shannon, this has got to be the most beautiful ratatouille ever! I’m sure it’s as delicious as it looks, but if someone set that in front of me, I would have to look at it for quite a while. Just lovely! Pretty amazing dish I must say…salute to you! I don’t think I have the patience to do this:P Happy Chinese New Year to you!